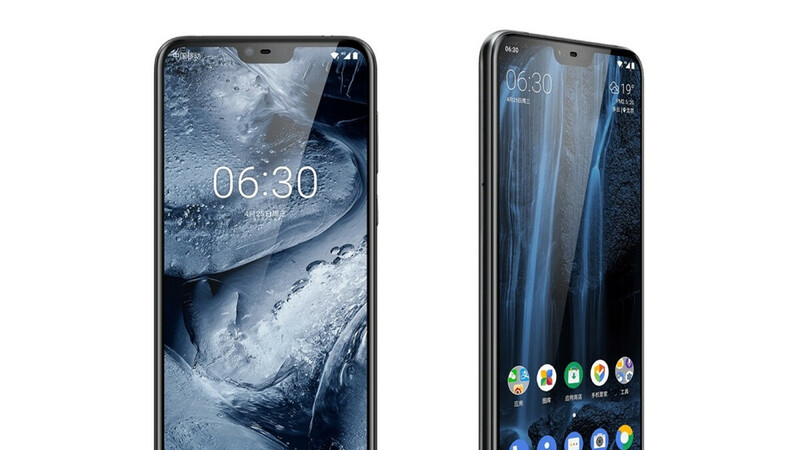 If you're waiting for a mid-range Android smartphone with the notched display, you'll probably want to wait a bit longer as HMD Global is readying the Nokia X6 for a global release. The upcoming worldwide variant will be called Nokia 6.1 Plus and it's expected to hit the market on July 19. From what we know so far, the Nokia 6.1 Plus and Nokia X6 should be similar specs-wise, and a recent listing at Geekbench confirms that. The Nokia X6 is available in three variants 4GB and 6GB RAM/32GB storage, as well as 4GB RAM and 32GB storage. 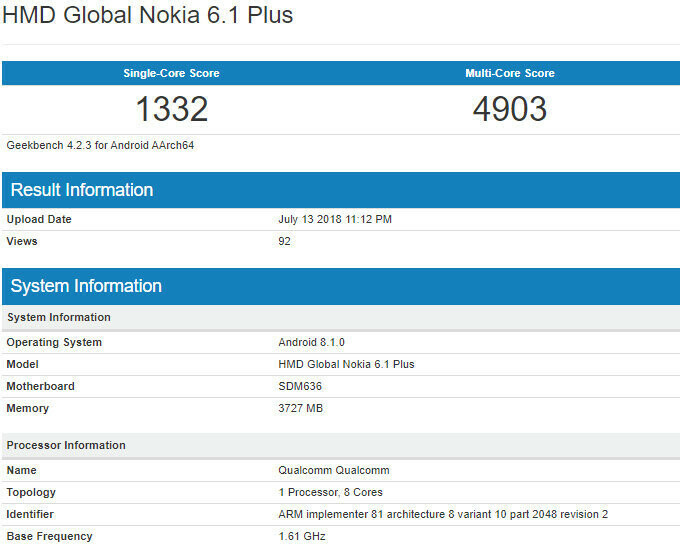 This particular version of the Nokia 6.1 Plus that has just popped up at Geekbench packs 4GB RAM and runs Android 8.1.0 Oreo, unlike the Nokia X6 model that runs a custom UI for the Chinese market. The list of partial specs also confirms the global version will be powered by the same Qualcomm Snapdragon 636 processor. We're hoping the Nokia 6.1 Plus will indeed come out on July 19 as rumored, but it will probably take some time until it reaches global availability. Awful, just awful. Another Chinese copy. Yes your iphone is also a Chinese phone! Nice try. I’ve never owned an iPhone. You are being racist, extremist and you talk like a terrorist. Do not buy if you think it's awful, but others who like it will buy. I'm curious to see how this gets priced. That " The Nokia X6 is available in three variants 4GB and 6GB RAM/32GB storage, as well as 4GB RAM and 32GB storage." I thought I was the only one finding that difficult to understand. I'm wondering if there's supposed to be a 64GB model in their somewhere. I know some OEMs offer it with 6GB of RAM. Can’t wait for this to hit the states so I can buy one. Would be nice if Nokia would release more of their phones in the states. There's a market for affordable stock Android phones. True. Good thing HMD does indeed offer some of their smartphones in the states, like the Nokia 6.1, the Nokia 6, the Nokia 2, and the Nokia 3.1, despite what some people like to parrot around Nokia articles. I noticed the 7 plus, and 8 sirocco now available on Amazon as well. Imported though. The Nokia 7 Plus also has almost all of the required network bands to work on AT&T T-Mobile, with the exception of band 12. Bands 4&5 cover most of the LTE bands across the country, though. I see that they are. At least that's available for those who may want to try, but I will pass. I rather have all the required bands in order to take advantage of LTE despite what some uninformed people will say. I agree. I also miss the Moto X phones because those were affordable stock Android phones. And they were readily available in the states, US warranty and all.